All-in-One Daily Greens and Replenishing Herbs. Most of the world’s food supply comes from less than 17 different foods. You get more than that with every scoop of EGN, including some of the rarest and most micronutrient rich foods in existence. EGN is the ideal way to optimize your diet with greens, berries, and herbs you won’t find in a typical green food. Mineralization and Alkalization are forever linked within the cascade of bodily processes. Junk food, excessive protein, sugar, caffeine, and stress can create acidic conditions within the body. This mild acidosis requires the utilization of minerals to buffer the acid. These minerals are no longer available to support the body’s complex systems. Green foods, like the grasses, herbs, and vegetables contained in EGN, are naturally alkalizing and can also contain vital trace minerals. Free radicals are considered the bad guy in the nutrition world. Whether or not they are as damaging as some claim is up for debate, but very few will argue that free radicals are not at the very least a burden on your body. In order to neutralize these electron-scavenging nasties, the body has a complicated set of defenses, which can be bolstered by the introduction of high antioxidant supplements. To complement Vitamin C’s action, we’ve included Organic Purple Corn, Organic Lucuma, Maqui and Acai.† You and your body have a lot to accomplish. Why not help take the load off with EGN? Add all ingredients to a blender. Pulse until smooth. Throw out that concentrate crap. This is the real deal packed with nutrients from whole foods. It’s the new fresh start to your day! This is the easiest and tastiest way to get micro-nutrients, vitamins, minerals, and the optimal amount of greens from 100% natural earth-grown sources. My smoothies have evolved with this product. Did I mention how awesome it tastes, even on its own? With no chemicals! Whether it’s my big morning shake or a quick snack, all my shakes include a serving of Onnit’s Earth Grown Nutrients. So many greens supplements have an overpowering flavor. 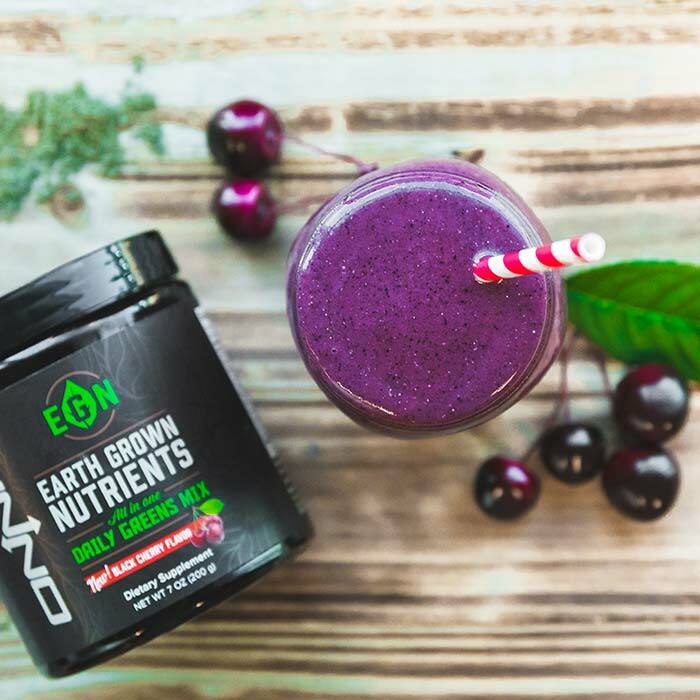 EGN mixes smoothly with any shake flavor and provides me with the nutrients I need to stay fit, healthy and high energy for my players. 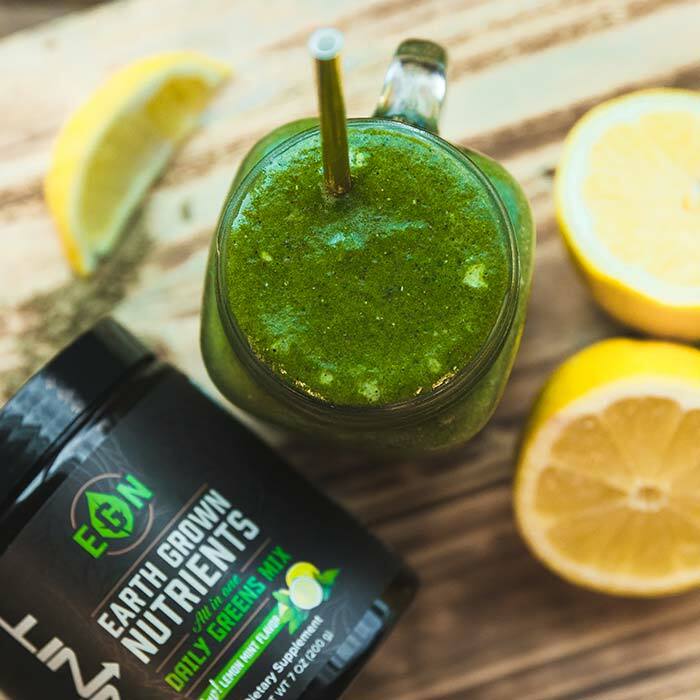 Onnit Earth Grown Nutrients are the best and just as important as your daily food intake. I use Earth Grown Nutrients in my juices. EGN is packed full of vitamins and nutrients. It's the perfect way to bind together flavours and add some extra punch to your morning.